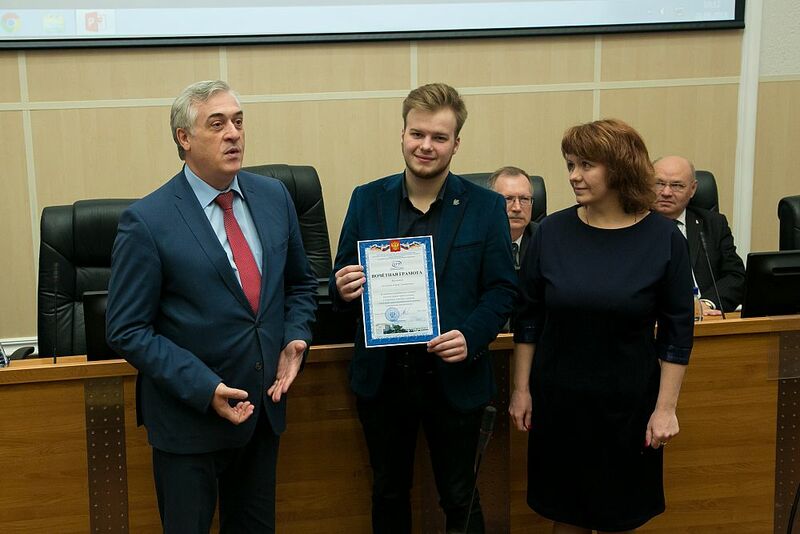 The awarding took place upon recommendation of the Investigative Committee of Sverdlovsk Oblast, where a criminal case (the student being a witness of) was in charge of the special cases directorate. At the end of December, Andrei was returning home late at night. He was already walking along his yard when, with tears and cries for help, in a house dressing-gown and slippers, a very frightened girl ran out into the yard. A strongly drunk and aggressive man followed her. That time, there was no one in the street. Andrei not only protected the victim from further encroachment, he also called the police and assisted the investigation in uncovering the crime and accusation of the attacker. 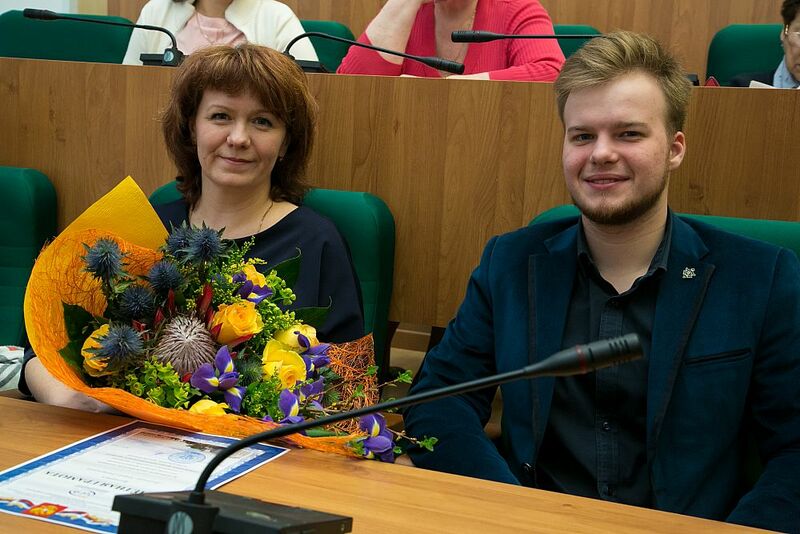 The recommendation of the Investigative Committee with a request for the awarding the student says: "He has shown courage, social activism, high level of legal consciousness and moralities." The awarding was attended by Andrei’s mother Olga Vladimirovna. 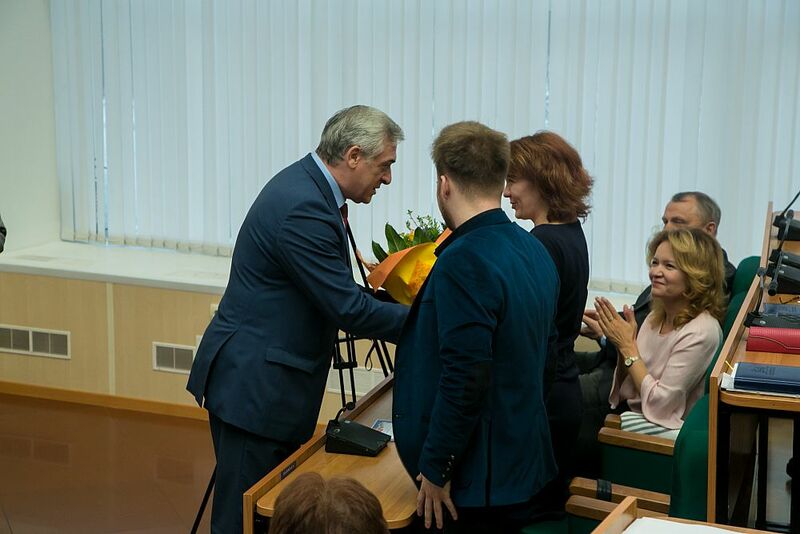 The Certificate of Appreciation to Andrei and a bouquet of flowers to his mother were solemnly presented by the USUE rector Yakov Silin. 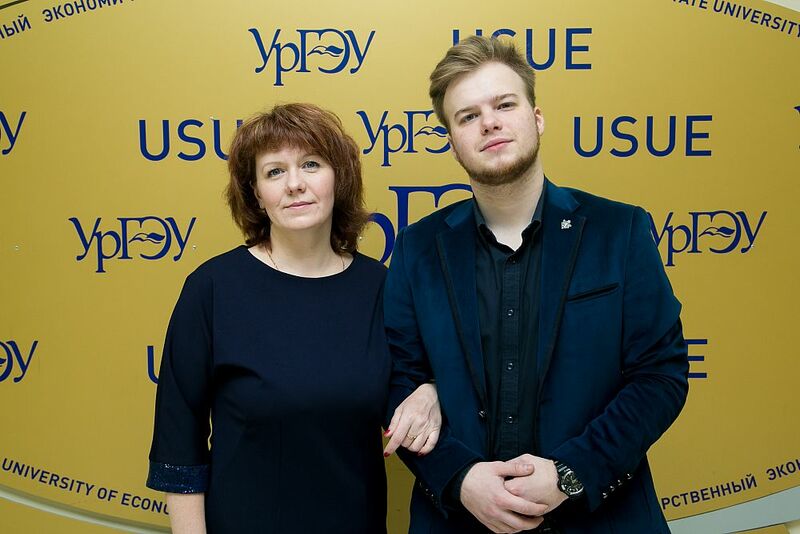 He thanked Olga Vladimirovna for the upbringing of her son and wished Andrei every success. For sure, he will need success. After graduating from the University, Andrei is going to do business. He has not yet decided what to choose, but he has many ideas. In parallel with his studies, Andrei practice swimming, and work. His parents found out about the act of Andrei not at once. "He told us about the incident when he had to warn us not to worry in case of serving a police or court summons," his mother Olga Vladimirovna says." As a mother, of course, I worried, but as a citizen, I understand that he acted as a man should act and could not have done otherwise."